The second evaluation was a Job Training Analysis, which provides the operational forces with a training package that instructs them on proper use of the system to efficiently engage adversaries on the battlefield. Sustainability is a key factor in any systems acquisition process. 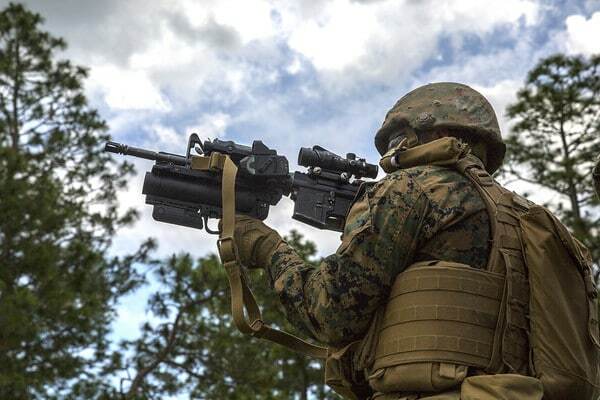 The goal of the LORA and Job Training Analysis is to ensure the operator and maintenance technical publications of a system are accurate, which reduces operational ambivalence and improves the grenade launcher’s sustainability. The LORA is an ongoing process that continues throughout the lifecycle of the M320A1 to establish sustainability, said Hough. After fielding the M320A1, the Corps will monitor the system to ensure it is functioning properly. During this time, the program office will make any adjustments and updates necessary. “We’re looking to have the new equipment training and fielding complete prior to fourth quarter of FY19 to ensure they can be used and maintained properly once they hit the fleet,” said Berger. The analyses, which occurred over the course of a week, were no easy task. However, at the end of the week, Hough expressed gratitude for all parties involved in the M320A1 analyses, which he called a success. He said the tasks could not have been completed without the help of several key individuals. Berger also expressed pride about the accomplishments of the analyses.